December is by far the busiest month of the year for me…….the home holiday decorator, chef, maid, chauffeur, gift shopper and wrapper, party organizer, Christmas card designer and sender…..just to name a few. Don't get me wrong….I do get stressed, but in the end I love every precious minute of it!! 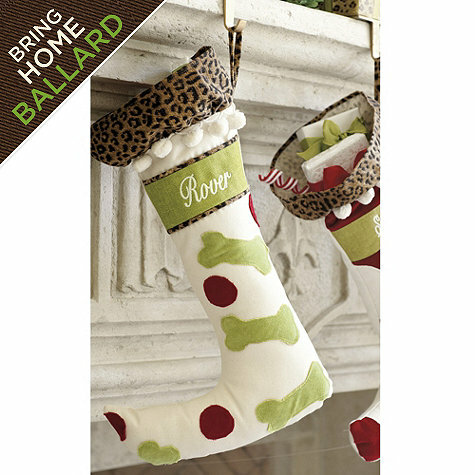 Now would be a great time to get a jump on those Christmas stockings whether you are a new family getting started or just want to update your look! 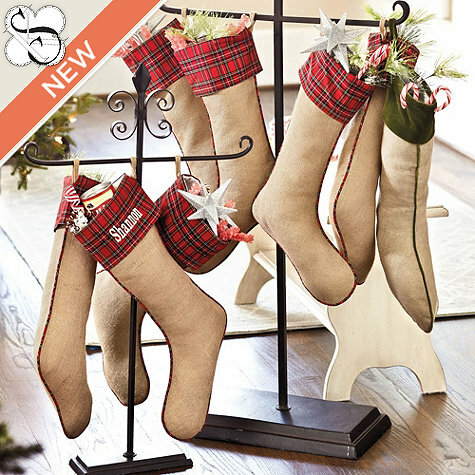 I have put together for you a list of current stockings that you can either simply purchase or hand-craft for your family or friends. Either way is perfectly fine! They range in look from simple, whimsical, colorful, subdued to up cycled. I have 3 fireplaces in our home. 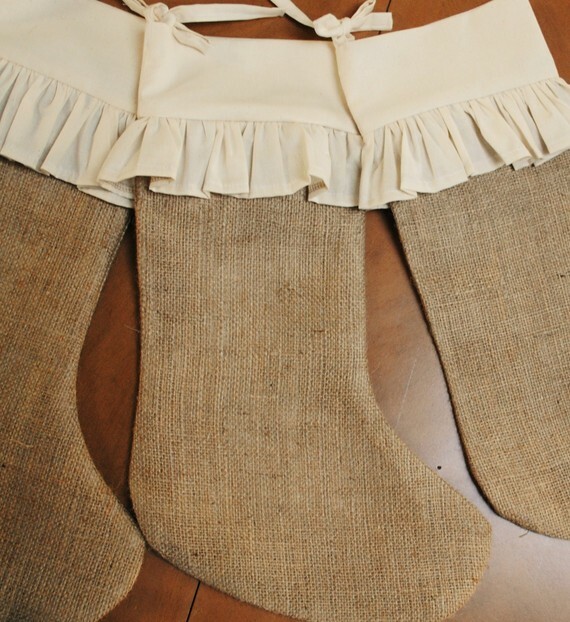 One in the master with no stockings….think I'd like to add the burlap ones there, the study which has some inexpensive needlepoint ones from Old Time Pottery from a few years back to our priceless, heirloom stockings in the family/living room. These beautiful stockings were lovingly made by my mother-in law. Through the years, she has made one for each of her 3 children, their spouses and grandchildren. That is a grand total of 16 cross stitch and needlepoint stockings! Our youngest daughter's was the last stocking that she made before being stricken with Alzheimer's disease and passing away a few years ago. 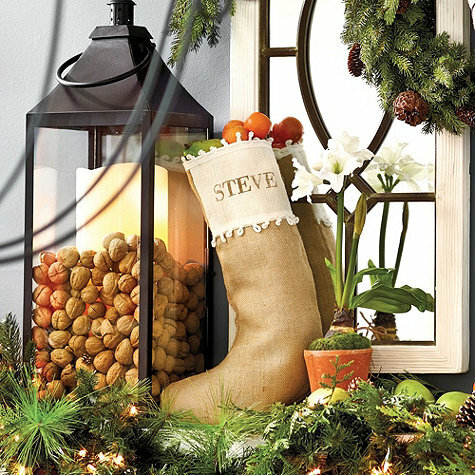 I do not store these stockings in the attic with the other Christmas decorations. I wrap them in tissue and have them in the hall coat closet in the event of a catastrophe! It is one of those things that I really need to have!!! My kids are 16 and 13. I keep telling myself that I need to learn how to do this so I can carry on the tradition for my children's spouses and my future grandchildren. Maybe I should start now!!! I don't see how Doris did it! Ashlyn has born the end of January and she had it for her first Christmas!!! If I start now, Maybe I could do bottom up and save the name for last! Here are my mother-in-law's priceless creations! Max was very unhappy that his was smaller than the kids! His has a side zipper which makes it easy for getting the goodies out! His has even had some repair work done with the back being replaced. I'm not sure if you can tell, but the little doll in mine has actual braids with ribbon!!! I love this Old World Santa! This was the last one made for the Christmas of 1999! Kind of funny…notice that the daughter-in-law's is the smallest!!! LOL!!! The kids have the largest ones! Max used to tease his mom that she needed to make him a new one which would be the largest since he was her only son! 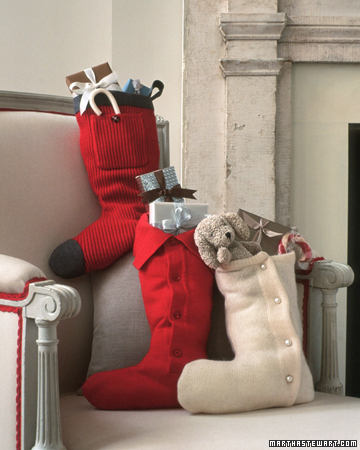 If you haven't already, now is the time to pick out your very own stockings. 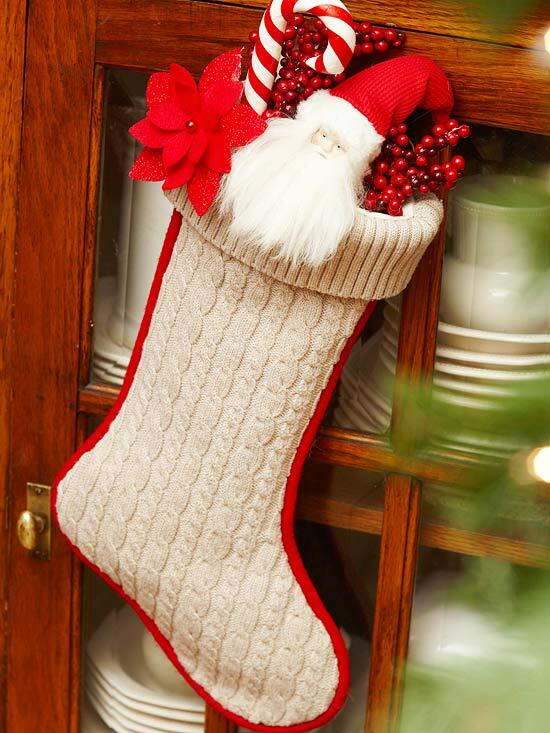 Stockings do not just have to grace the mantle! 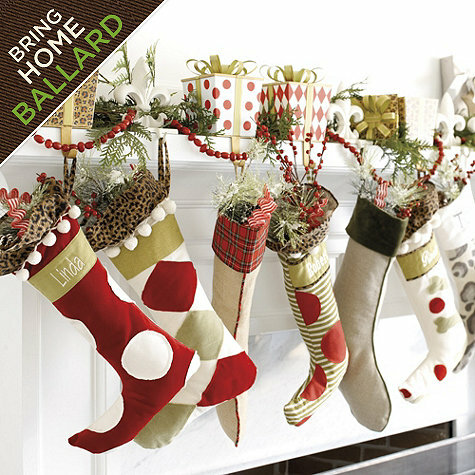 They can be used to simply decorate a vignette, a staircase, hang from the backs of chairs and even to use on a wreath! 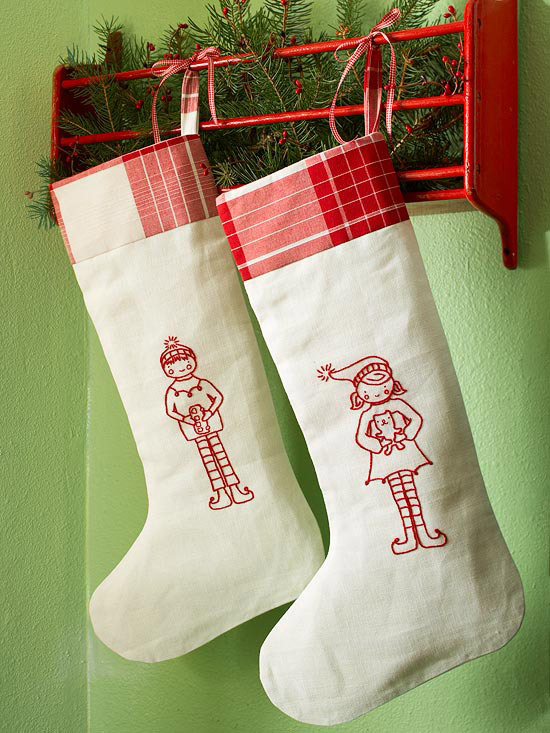 I'd love to hear about the creative ways that you have used stockings! 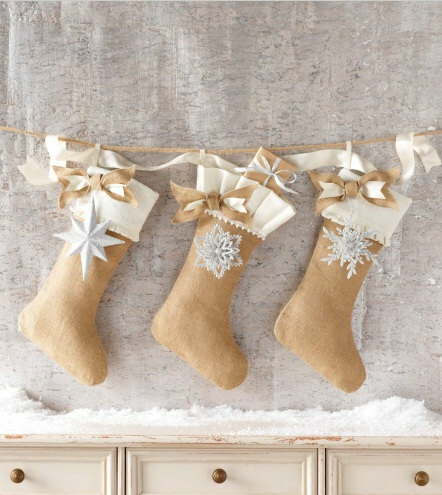 Now please be patient, this upcoming post is long as I share with you photos of stocking ideas and where they can either be purchased of instructions can be found! Enjoy and feel free to share! Not wanting to go the ready-made route and want to tackle something special! Here are some links to instructions for that future family heirloom! I wish I could share a photo of this one, but the site would not let me copy. 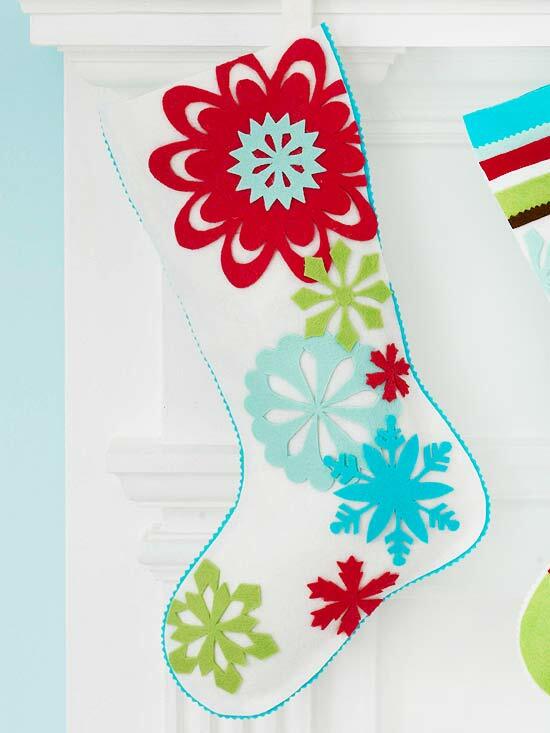 This stocking is super cute! Check it out!! This is a personal favorite!!! 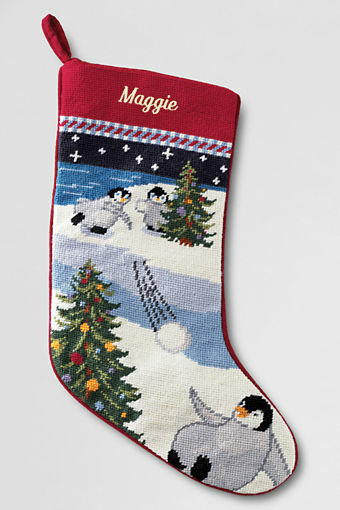 Can't you just imagine how special these would be made from personal family sweaters? Or stop by your local thrift store for some! These would make a wonderful gift for the newlyweds! This is so cool…..Martha of course! 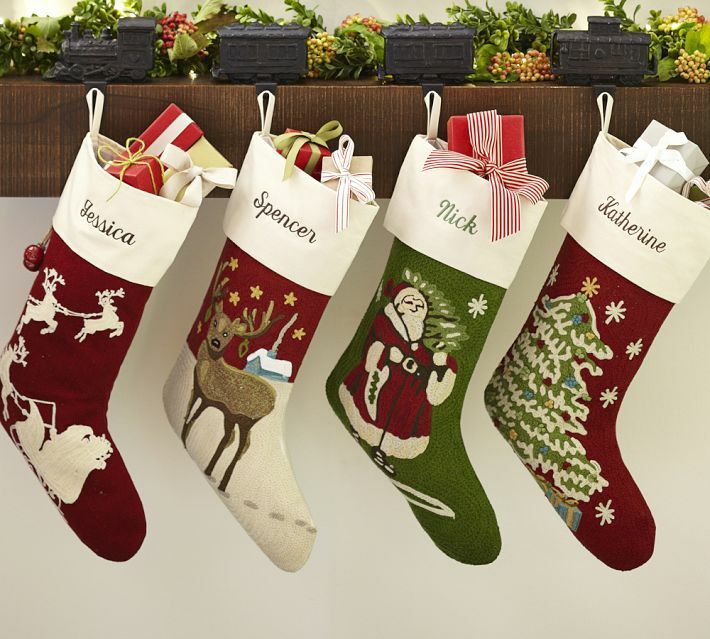 I hope you have found my stocking picks useful and maybe became inspired! I wish you and yours a Merry Holiday Season! Please feel free to pin and share! I appreciate you stopping by and would love for you to follow Our Southern Home. The various ways are on the right side bar. Many Christmas ideas will be coming soon! 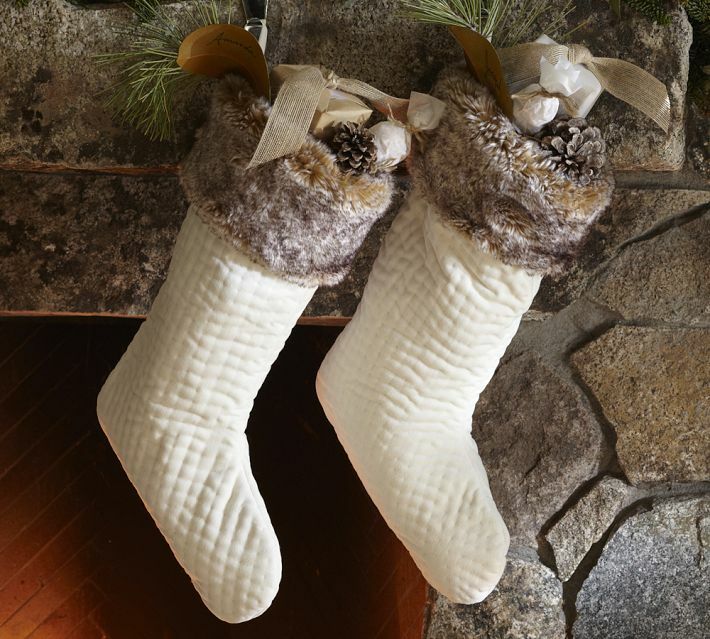 Every one of the stockings your Mother-in-law made is a labor of love. I understand why you store them so carefully! 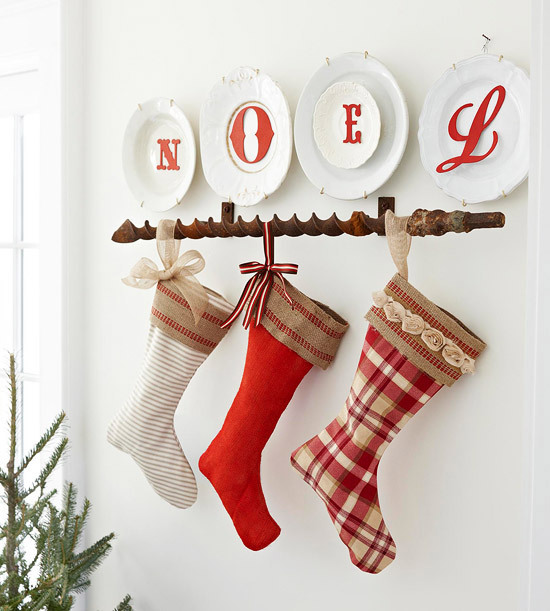 Oh, my goodness, this is a thorough round up of the cutest stockings. 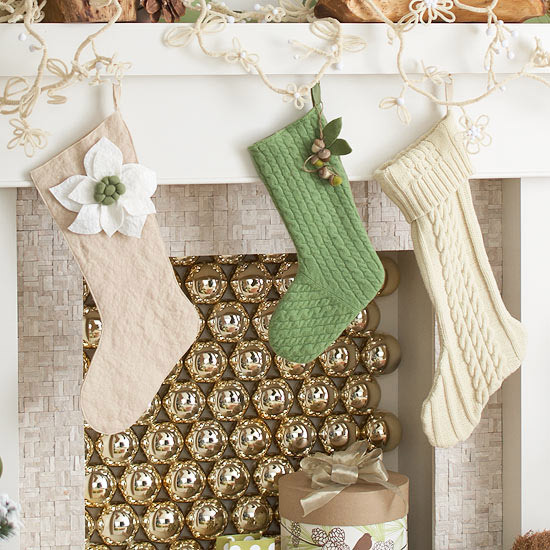 All the burlap is so cute this year and I have to say BH&G has some adorable ideas–my faves, I think. Shannon, thank you so much! 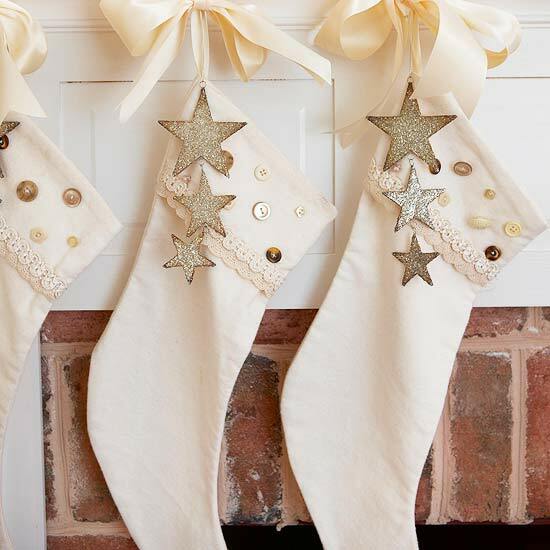 I actually hung them on the maantle yesterday so I’ll have a new post up with them next week for my holiday mantle! 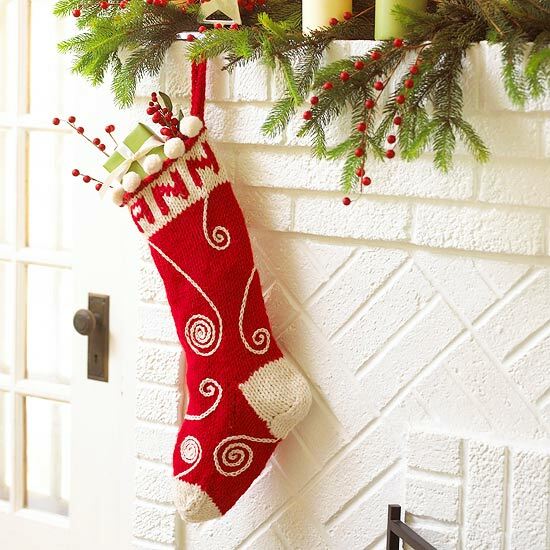 Happy stocking hunting!! 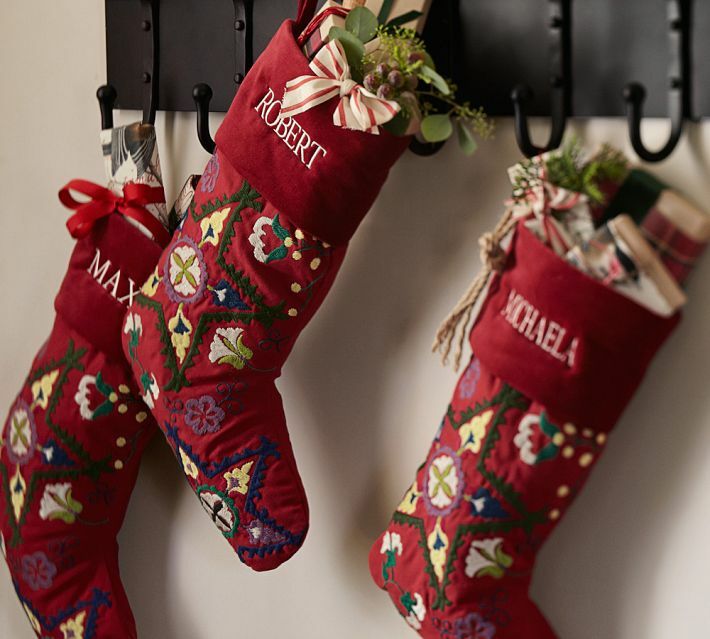 Your family stockings are fabulous – no wonder you store them nearby! 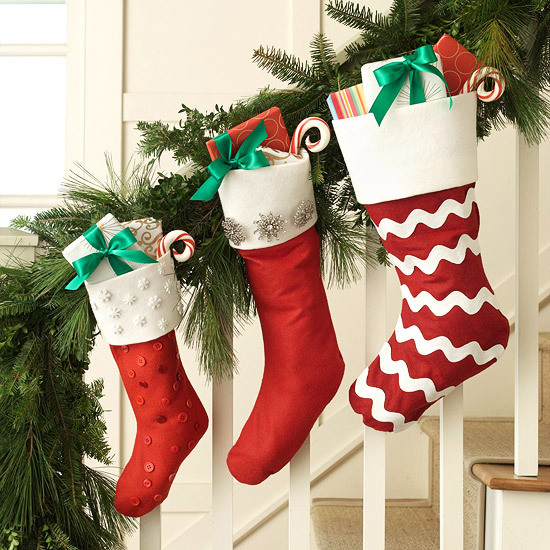 And your roundup has me wanting to buy 50 new stocking this year! Kelly, thanks so much! 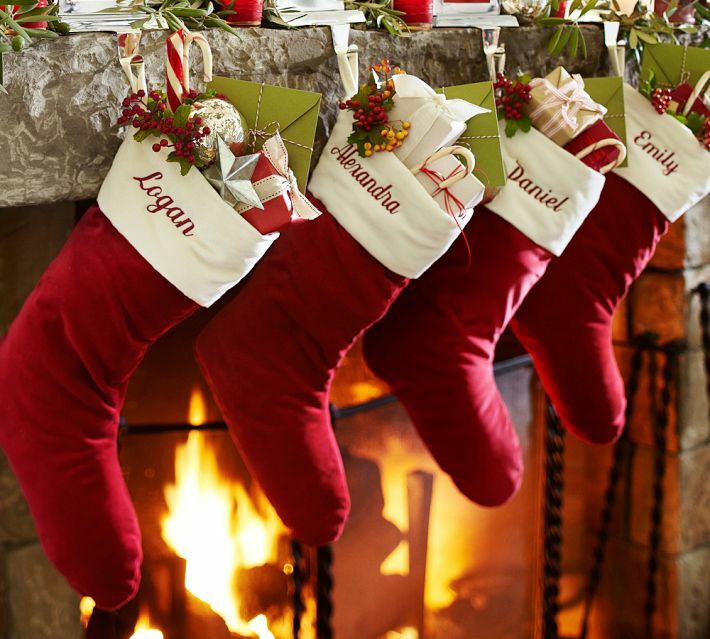 Our stockings are so special! Wishing you a wonderful Thanksgiving!!! I love those tailored stockings too! thanks for the inspiration, lots of great ones too! Thank you so much, Jenny! I appreciate you stopping by. Have a beautiful weekend! I love this collection! 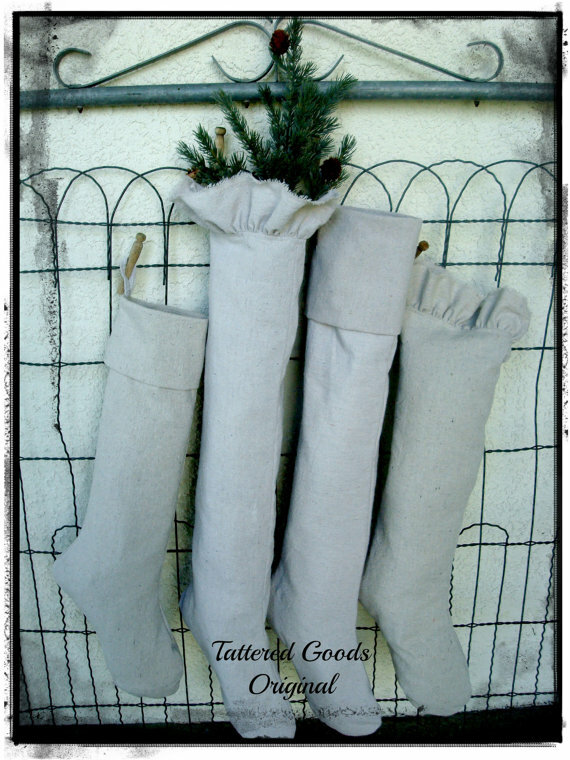 It reminds me how much I need to retire my old stockings and get a little crafty this Christmas! Lots of great ideas! 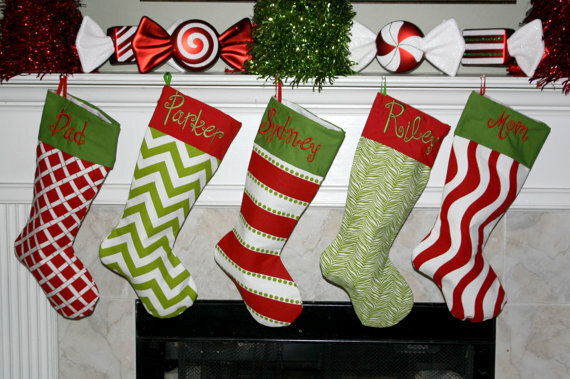 Christy, I love the collection of stockings you’ve put together here! 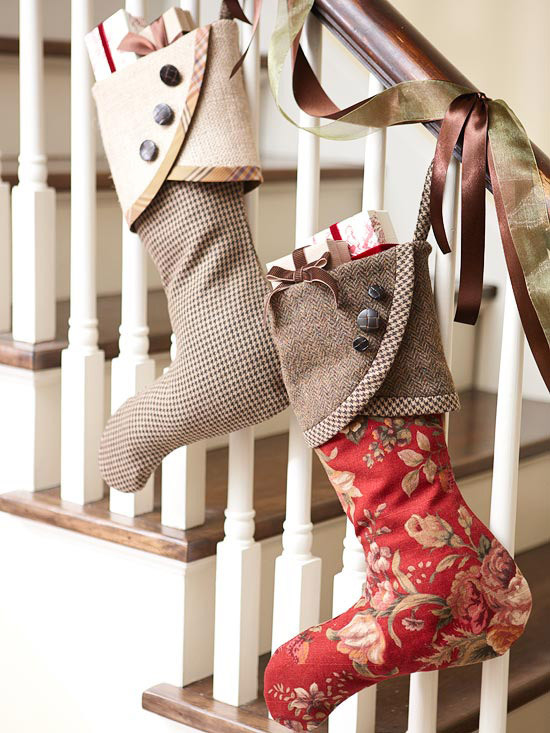 Those cross stitch and needlepoint stockings are AMAZING! Thanks Jacque and Matt! I hope you can find some inspiration for your own home! 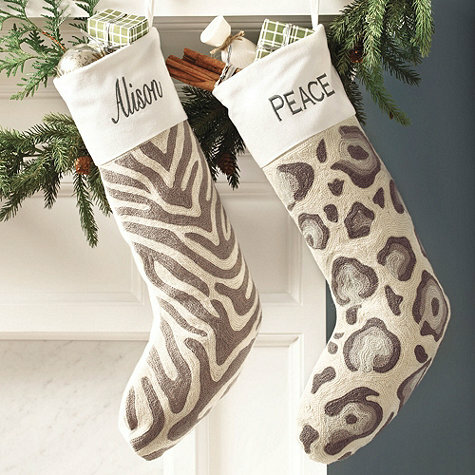 So glad you found our stockings just as special as I do! Have a great day! !